Having innovative solutions for mission-critical applications makes Hydraulics Technology the preferred. For over 25 years, our impressive list of electric hydraulic pumps has met the needs of various applications. In assuring the highest quality products to our customers and meeting their expectations, Hydraulics Technology maintains ISO Certification. HTI is ISO 9001:2008 Certified. Electric hydraulic pumps are hydraulic fluid transmission devices that are powered by electricity. They are often employed for the transmission of hydraulic fluid from a reservoir to an actuator such as a hydraulic cylinder. 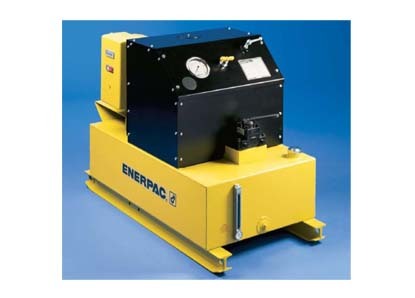 Such actuation systems are an important part of a wide variety of hydraulic machinery. There are many different hydraulic pump varieties, but the defining figure of each variety is its use of pressurized liquids for the purposes of accomplishing a task. In the case of hydraulic water pumps, for example, the natural properties of water are harnessed in order to move water from one place to another. Hydraulic piston pumps are used to help actuate a piston’s movement in a mechanical system, and hydraulic gear pumps operate in a similar way. Though there are many different variations of each of these pump systems, each variety can be powered by electricity. In such cases, an electric current is directed to a motor that turns impellers or other mechanisms that generate pressure differentials within the pump system; these differential pressure levels allow for the movement of liquids through the pump. Such pump systems can be used to direct hydraulic fluid to industrial machinery such as excavators or commercial equipment like elevators. There are many different varieties of hydraulic machinery, but the piston actuator is among the most common hydraulic actuation systems. A hydraulic piston actuator consists of a hydraulic cylinder in which a piston and an open, fluid-tight chamber are contained. The piston head is tightly sealed to the edges of the cylinder so that when hydraulic fluid is forced into one end of the hydraulic cylinder, it forces the piston to move toward the open chamber. This forces whatever may be connected to the piston to move as well. This is how hydraulic jacks, lifts and many other kinds of hydraulic machinery function. Depending on the application, the hydraulic fluid can be made from many different materials. In heavy-duty industrial applications, oils are the most popular hydraulic fluids. 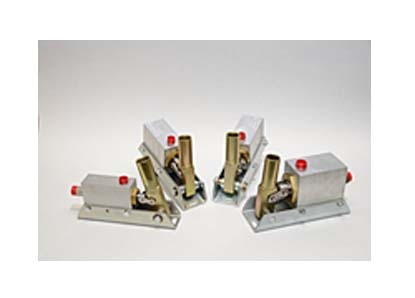 In an electric hydraulic pump, this entire process is made possible by the flow of electricity into the pump motor; this allows for the hydraulic fluid to be forced into or removed from the hydraulic cylinder to which the pump is connected. Electric Hydraulic Pump - Metro Hydraulic Jack Co.